I bet the Aztecs didn't have time management issues! A big thanks to everyone who contributed a post to this month's Nonprofit Blog Carnival. Below is a selection of folks' answers to this month's topic: Time Management Tips. I've highlighted one tip from each post. "'No.' is a complete sentence: You do not need to follow up with a laundry list of excuses, saying a gracious no can suffice. Actually I’ve found that in most cases people would rather you say no and then change your mind to yes then the other way around." "Monday morning me-time. (Beg your ED not to schedule staff meetings on Monday mornings; Tuesday mornings are more productive. You’re all back into the swing of things and new questions will have arisen.)" "[P]lay to your strengths. Do only those things that you are really good at and get help with the rest. I know, I can hear you saying that you can’t afford to hire anyone. That’s alright. Recruit a volunteer or get an intern to help you"
"Space is a hard-won resource in a busy schedule, but I consider that self-centered, me-based time to be fundamental to the inspiration essential to doing good work." "Timedriver – online appointment scheduling tool. Assume Caterer Cathy wants to talk with you. Send Cathy your unique Weblink (generated from Timedriver) and she’ll see the days/hours you’re available. She has visual access to the times you’ve pegged as 'available.'" "Get away from your desk: Find a place to work that is not your desk, and keep that location secret if possible. More than just getting away from your usual distractions, people can’t ask you questions or interrupt you if they don’t know where you are." "Take the time to change your behavior. Apparently, it takes 21 days of repetitive activity for your brain to accept new behavior as a habit. So once you identify some time management rituals that work for you, give them a try for a few weeks to see if you can make it work or if it makes a difference." "Use Outlook tasks. Emily Baime taught me how to use tasks back in the day, and my work life has been transformed. So many people still use a pad of paper, or worse, post its. Outlook tasks allows you to set deadlines for each task, mark priorities, and keep track of progress. Every week I update it according to priority (Monday of that week is high priority, Friday is projects on the backburner, etc.). "If I think of my time budget like a financial budget, I only have so much time I can 'spend,' and a lot of things I want to 'buy,' so I have to spend wisely. Some of my time has to go to regular 'expenses,' some of my time is an 'investment' that will pay off later, and some of it is just for fun. Like any budget, I'll have to make adjustments as I go along. 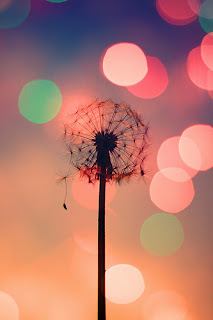 Unplanned time expenses will come up, as will time windfalls." Save Time and Energy When Turning Interviews Into Content by Joanne Fritz on the About.com Nonprofit Charitable Orgs blog. "Ask for the interview well in advance. Unless you're covering a breaking news story, you likely have the luxury of letting the interviewee know in plenty of time that you'd like to interview them. Most people are more comfortable if they have a few days to think about what they might say to you. I like to set up interviews at least a week out if possible. I email the person and provide information about who I am, and why I'd like to do the interview." "Pass out the slingshots. I was on a panel with Joe Trippi last night, and he talked about empowering your champions to spread your message and do your work. He said it’s like handing out slingshots to an army of Davids. You don’t have to carry the burden of conversation alone like some Goliath social media guru. That doesn’t work well anyway. The more your supporters take over your engagement, the more effective your message—and the saner your life." "Be Proactive, Not Reactive: Just because a deadline is a week away doesn’t mean that you shouldn’t already be working on it. Start early, use downtime to work on the projects that are usually not a priority, and have some idea of what is coming up in the near future. This allows for calm and careful planning instead of screaming panic." Time Management Tips I've Implemented This Year by Kivi Leroux Miller of Kivi's Nonprofit Communications Blog. "Thinking Six Months Ahead. Planning our webinar programming six months ahead, instead of three, has saved me a bunch of time, because I’m not scrabbling as much. We still publish the schedule only three months at a time in case we do want to make adjustments, but behind the scenes, we have the programming sketched out through December." For more time management tips, be sure to read the contributors' full posts. Kivi Leroux Miller of Kivi's Nonprofit Communications Blog will host the August Nonprofit Blog Carnival. She's looking for posts with Kooky, Quirky, and Off-Beat Ideas. 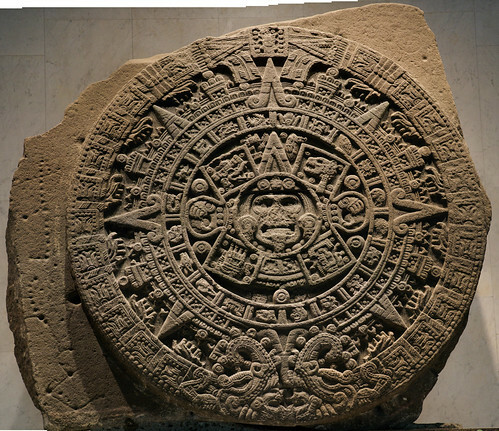 Flickr Photo of Aztec Calendar at the Anthropology Museum in Mexico City uploaded by Michael McCarty. "The fact that it actually happens today despite the "Never Again," rhetoric, despite the fact we apologize for how we didn't act in the past, that we allow it to happen again. At this point, I'm not able to not do anything about that. I have to begin that conversation, even if it just ends with a conversation." Naomi Natale is the founding artist behind One Million Bones, a collaborative art installation designed to recognize the millions of victims and survivors who have been killed or displaced by ongoing genocides and mass atrocities in Sudan, the Democratic Republic of the Congo, and Burma. Both an installation artist and photographer, Naomi was the founder and director of The Cradle Project, a large scale installation calling attention and raising funds for the 48 million children orphaned in Sub-Saharan Africa. Over 550 cradles were created and donated by artists around the world. Naomi served as an artist-in-residence at Columbia College Chicago in 2008, 2010 and 2011. She speaks internationally on the topics of art and activism, as well as her installation works. She is currently both a TED Senior Fellow and Carl Wilkens Fellow, respectively. August 5: I'll be at BlogHer '11 in San Diego and co-presenting The Write Brain – Essential Blog Content Development Workshop. September 21-October 12: I'll be offering my Juicy Blogging E-Course: The Art and Play of Blogging. Meatless Monday is a nonprofit initiative of The Monday Campaigns. Their goal is to help reduce meat consumption by 15% to improve personal and planetary health. Each week I share meatless recipes I've tried from cookbooks and online. 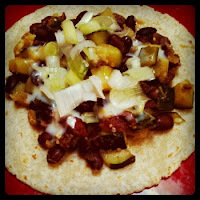 You can see past Meatless Monday posts here. and cherry tomatoes ready to roast. 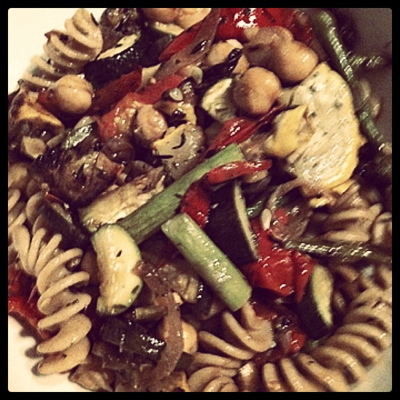 Fusilli Roasted Veggie Primavera from Appetite for Reduction . 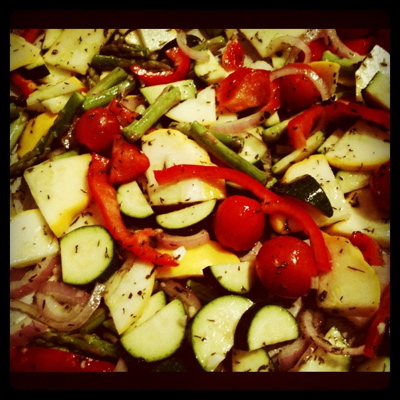 The splash of balsamic vinegar at the end makes it super delish. You can view the recipe on Google Books. 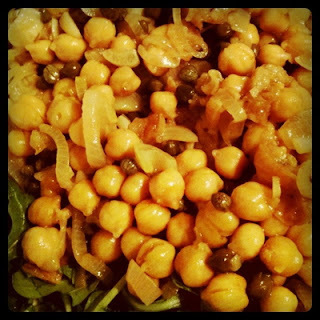 Chickpea Piccata from Appetite for Reduction. 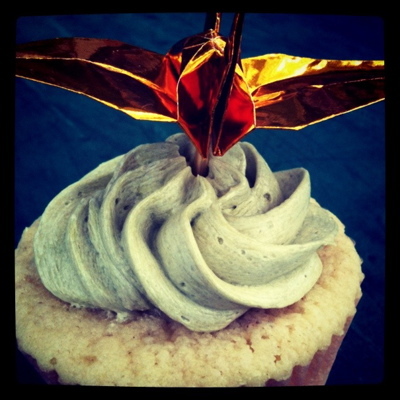 You can view the recipe on Post Punk Kitchen. 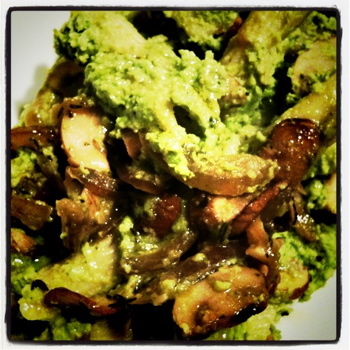 Soft Broccoli Polenta from Appetite for Reduction. This was so yummy and comforting, I ate it for breakfast too. 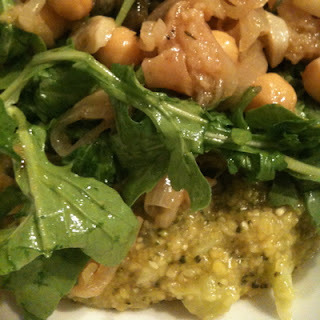 Chickpea Piccata on Soft Broccoli Polenta. Yum! 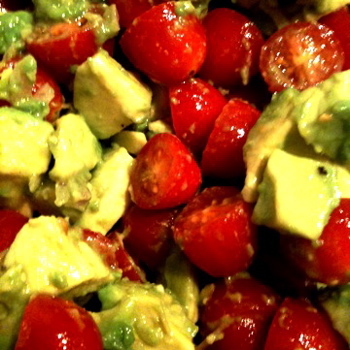 with avocado, tomato and red onion. 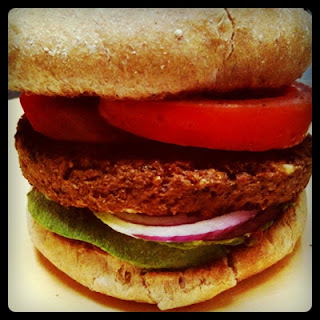 I'd like to try making my own veggie burger recipes. "[A] gift is something that is given. You don't own it. The world does. 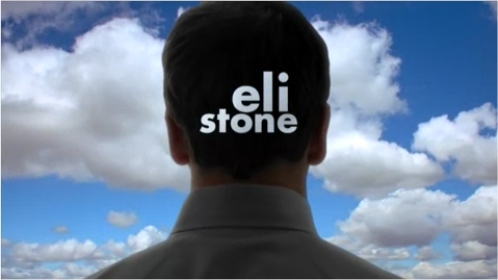 Over the past couple weeks I've been watching Eli Stone, the 2008-09 TV dramedy that (sadly) was cancelled after two seasons. Eli is a lawyer who sees visions (which are often musical numbers) about people he needs to help. While fighting courtroom cases, he struggles with his own, and others' belief in his visions, his relationships as his life path changes, science vs. faith, and free will vs. divine will. My main advice for you, as you begin your adult life as an artist (so exciting! 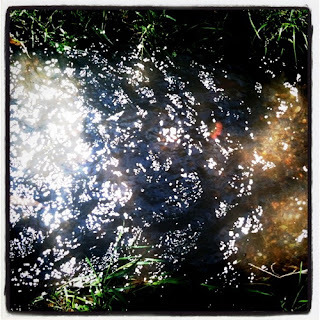 ), is to be like a stream: flow within a structure. As artists, we're often most comfortable living in the flow, and following our creative curiosities as they arise. We resist limits and structure, and yet according to a study reported in The New York Times article, Route to Creativity: Following Bliss or Dots?, "the real source of productive creativity may lie in art's supposed bugaboos: rules, structure, even the occasional editor or two." On the other hand, we live in particularly uncertain times. 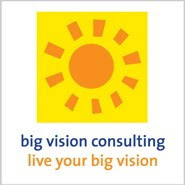 Your creative goals and plans may be crystal clear and mapped out, but any number of challenges (e.g. money, relationships, time, illness, natural disaster) could change your goals and direction, which is when you'll need to be able to flow around the obstacles, and shift your path. Life as a creative person is a constant dance between structure and flow. Keep listening to when the music changes, and you'll be just fine. Photo of stream by me. Meatless Monday is a nonprofit initiative of The Monday Campaigns. 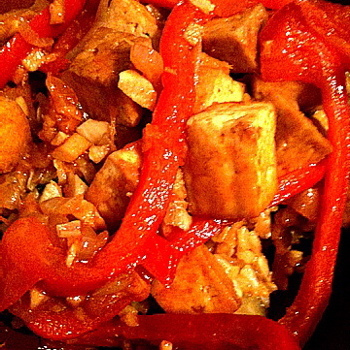 Their goal is to help reduce meat consumption by 15% to improve personal and planetary health. Each week I share meatless recipe ideas I find in cookbooks and online. You can see past Meatless Monday posts here. I *love* breakfast. 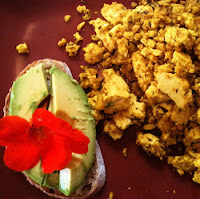 I could eat breakfast foods for breakfast, lunch and dinner, which is why I'm a big fan of tofu scramble. It works for every meal. The tofu scramble recipe I used is from Vegan Brunch by Isa Chandra Moskowitz. You can view it on Google Books. I served the scramble to some pals for brunch this weekend along with avocado on toast, and slices of watermelon. I was inspired to add a nasturium by an avocado toast recipe I saw on the Eating for Education blog. I'm still working my way through Appetite for Reduction (also by Isa Chandra Moskowitz). Last week, I made her recipes for Red Thai Tofu and Bhutanese Pineapple Rice. I couldn't find Bhutanese rice, so I just used brown basmati. The tofu recipe was OK, but when you put it with the pineapple rice it becomes super yummy, especially if you add just a little extra soy sauce. These recipes aren't online, but you can find lots of other fabulous Isa creations on her website, Post Punk Kitchen. Creating recipes doesn't come naturally to me, so I was pretty proud of myself that I made up this simple summer salad: avocado + cherry tomatoes + bermuda onion + lemon juice + olive oil + white wine vinegar + salt + pepper. Delish! Do you ever feel like there is this BIG thing you want to do, but you just never get around to doing it? That's how I've been feeling lately, so this week I'm playing with a "time budget" for my ideal workday. If I think of my time budget like a financial budget, I only have so much time I can "spend," and a lot of things I want to "buy," so I have to spend wisely. Some of my time has to go to regular "expenses," some of my time is an "investment" that will pay off later, and some of it is just for fun. Like any budget, I'll have to make adjustments as I go along. Unplanned time expenses will come up, as will time windfalls. I added lunch and exercise as categories because I know that if I take a proper lunch hour, and add exercise into my day I'll be happier, and more productive. During the week, I've been keeping rough track of how much time I spend on each category to make sure I'm not over, or under-spending in any category. For example, I joined Google + on Monday and spent almost all of my social networking/marketing budget for the week in one day! What I've enjoyed the most about my time budget is that I no longer feel like I should be doing one thing when I'm doing something else. I'm more present with each activity because I've established that it's important, and budgeted the time to do it. I'm also learning how long things actually take and am adjusting my budget accordingly. How do you play with time? How do you make time for what really matters? I'd love to feature your post about time management tips for nonprofits and nonprofit staffers in the July Nonprofit Blog Carnival. Check out my call for submissions for details. The deadline to submit your post is July 26th. Flickr photo Time Flies......* uploaded by Neal Fowler. 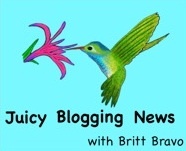 I'm launching my first e-newsletter today: Juicy Blogging News. Wahoo! Each month I'll send out juicy blogging tips, resources, inspirational stories, special deals, and workshop announcements. I've embedded the sign-up form below, if you'd like to join. Other MailChimp users: I'd love to hear your tips. So far, it's been pretty fun and easy to use. Meatless Monday is a nonprofit initiative of The Monday Campaigns. Their goal is to help reduce meat consumption by 15% to improve personal and planetary health. 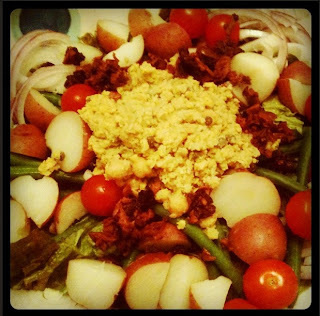 I didn't have chance to try any new recipes this past week, but this is what I wanted to make again: The Goddess Niçoise with Green Goddess Garlic Dressing from Appetite for Reduction by Isa Chandra Moskowitz. Sooooo yummy. 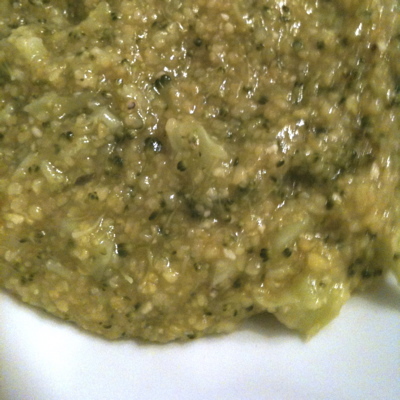 You can view the recipe on Google Books. I'm featured on Jennifer Louden's Savor and Serve! I'm thrilled to be featured today on Jennifer Louden's blog as part of her Savor and Serve guest post series. Thanks, Jen! 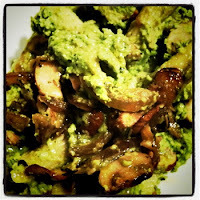 Meatless Monday: Black Bean, Zucchini and Olive Tacos + Edamame Pesto + Banana "Ice Cream"
This week I made two more recipes from Appetite for Reduction: 125 Fast and Filling Low-Fat Vegan Recipes by Isa Chandra Moskowitz, + one recipe I found online. Very yummy. The key is the Garlic-Lemon Yogurt sauce. You can view the recipe on Food.com. (One detail they forgot to add was to grate the garlic for the "yogurt" sauce. Also, I didn't include the jalapeños when I made it). I mentioned this dish in my post, 5 Meatless Dinner Ideas, but it was so tasty, I had to share it again! You can view the recipe on Google Books. 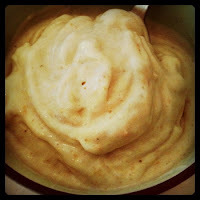 My favorite dish of the week was based on the Banana "Ice Cream" recipe I found on Fatfree Vegan Recipes. It's just frozen banana whipped up into creamy yumminess in a food processor. I added a splash of Vanilla Coconut Dream Coconut Drink and a spoonful of peanut butter. Heavenly! 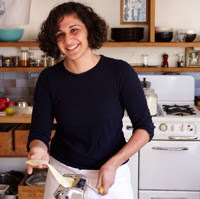 Samin Nosrat creates community around food with her varied endeavors as a cook, teacher, writer, and accidental activist. She's known for the Pop-Up General Store, Tartine Afterhours dinners, Home Ec Cooking Classes, and the nationwide Bakesale for Japan that raised $140,000. Her newest project is organizing Chez Panisse Foundation's Eating for Education, a grassroots effort to create national awareness about school kitchen/garden programs. At the heart of all of Samin's work is the fundamental belief in the power of food to create meaningful connection. July 9: Jumpstart your Blog! workshop at the Writing Salon in Berkeley, CA. "Mango Delight," by Kenya Masala. You can connect with Kenya through CD Baby, Source Consulting Group, and Facebook.